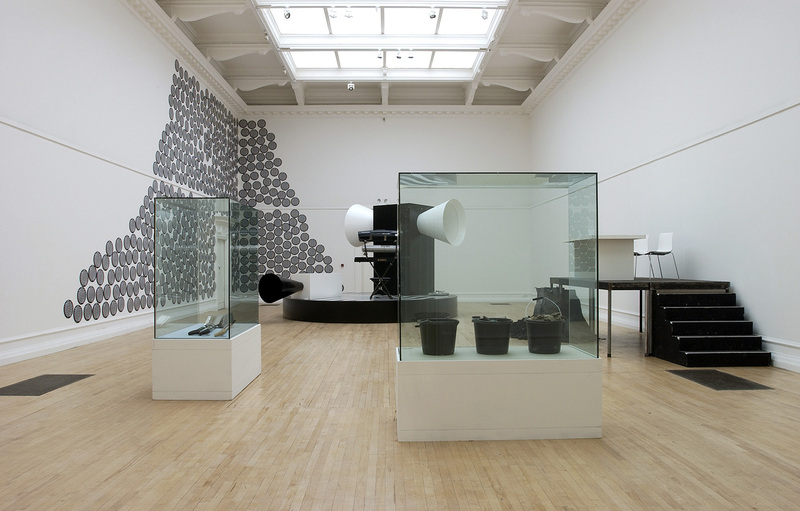 Installation view of Henrik Plenge Jakobsen, J'Accuse, 2005. Over the past ten years, the Danish artist Henrik Plenge Jakobsen has gained a reputation for making works which provoke a double take. His previous work has played on the seductive powers of surface appearances, and their ability to belie underlying meanings and truths. Most recently the artist has focused on devising striking installations which knit together diverse elements to create absurdist scenarios laden with multiple meanings. J’Accuse, a newspaper exposé of racially motivated corruption in the French government, is the inspiration for Jakobsen’s South London Gallery exhibition, his first solo show in the UK. No other newspaper article has provoked such public debate and controversy or had such an impact on law, justice and society. Written in 1898 by French novelist Emile Zola in defence of Captain Alfred Drefus, the article led to the author being tried for criminal libel, his financial ruin and some say even his untimely death. J’Accuse was an open letter to the French President on behalf of Dreyfus, a Jewish artillery officer in the French army who had been convicted of treason. Zola’s letter exposed Dreyfus’s trial as an anti-Semitic cover-up in which many high ranking French officials were implicated. For his SLG show Plenge Jakobsen draws parallels between Zola’s letter and the current climate of fear and suspicion generated in an environment of political spin. 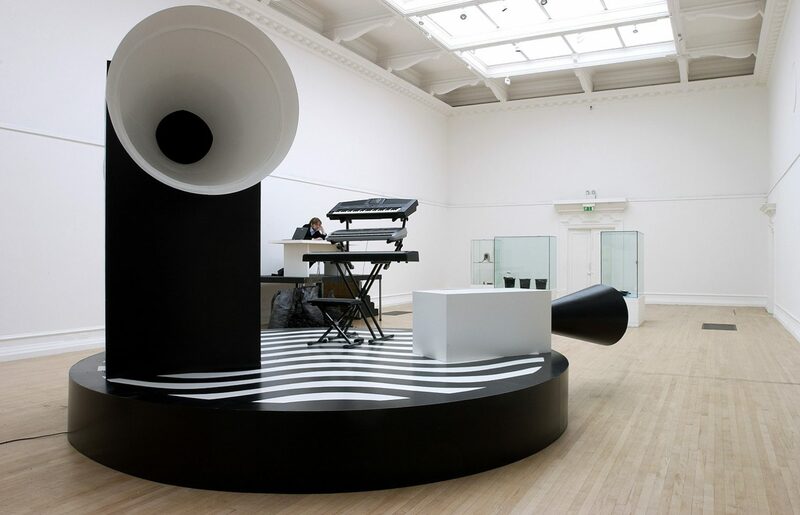 Completely transforming the gallery into a black and white set, in which the viewer takes on the role of the accusers in a bizarre scenario riddled with puns, Plenge Jakobsen explores the impossibility of revealing underlying truths in the face of media interpretation and the power of the establishment. Plenge Jakobsen has a growing international reputation and last year he had a solo show at the highly regarded Portikus gallery in Frankfurt. 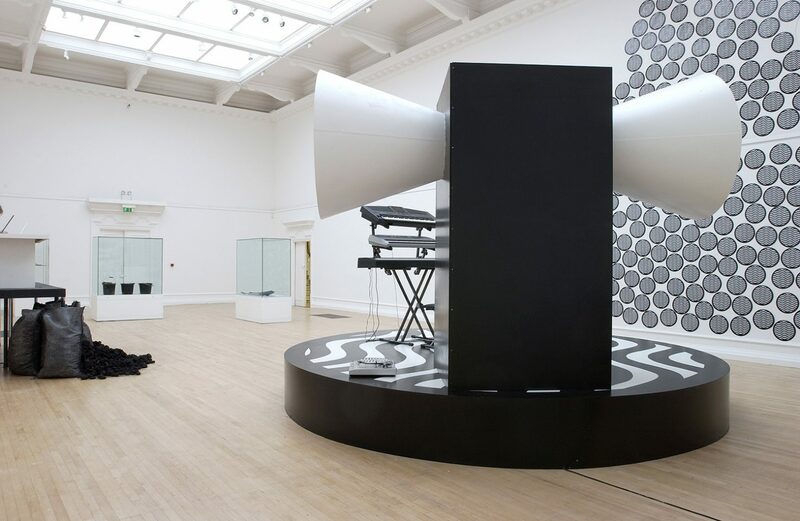 In January 2005 he will have a major solo exhibition at the National Museum for Art in Copenhagen. Publication: ‘Opera in One Act’ by Henrik Plenge Jakobsen, with text by Franz Kafka, is available from the SLG book shop for £8.50. The book is published by Portikus Frankfurt am Main and follows Plenge Jakobsen’s 2003 solo exhibition, Circus Portikus. Thanks to Pernille Albrethsen, Svend Erik & Anne Birgit Albrethsen, Cerith Wyn Evans, London Port Authority, Jakob Lorentzen, Leif Meyer, Jeremy Millar, Mike Nelson, and Nicolai Wallner. Special thanks to the Royal Danish Embassy for their generous support of the exhibition and to the Danish Arts Council for their funding of the J’Accuse vinyl. Henrik Plenge Jakobsen is represented by Galleri Nicolai Wallner, Copenhagen. Henrik Plenge Jakonsen (b. Copenhagen, Denmark, 1967) is a conceptual artist who works in a variety of media from sculpture and installation art to performance and public intervention. He studied at the Royal Danish Academy of Art from 1987-94 and lives in Copenhagen. Recent solo exhibitions have included Eggjastokkur at NoPlace, Oslo in 2011; Mainframe at Kunstverein für Die Rheinlande und Westfalen, Düsseldorf in 2010; Manhattan Engineering District at FRAC Pays de la Loire, Carquefou, France in 2007 and Circus Portikus at Portikus, Frankfurt am Main, Germany in 2003.